2011 Youth Soccer Skills Highlights. 8 year old Hunter’s second Soccer Skill Video. The Chelsea manager Rafa Benitez has said that he is extremely happy with the character of the performance shown by the team to come back from being a goal down to win against Everton during the weekend. 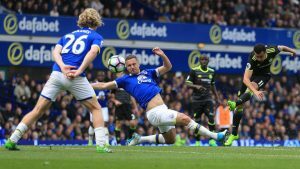 This fixture has always been the toughest for the club in recent seasons, as they were without a win at Goodison Park since April 2008. Things looked like going for the worse once again after they conceded a goal just 63 seconds into the match through Steven Pienaar. Chelsea’s passing and chance creation were also extremely poor during the first 20 min of the match. However, two goals from the midfielder Frank Lampard in either half helped Chelsea win the match 2-1. This also helped them stay 11 points behind United in the table. 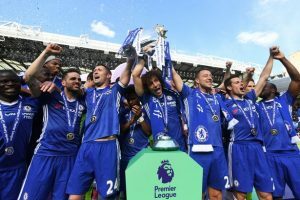 Any dropped points in this match would have meant goodbye to the title, which is the reason for this victory being extremely significant according to Benitez. Lampard once again proved his worth to the Chelsea team by scoring two goals. His first goal was a header just before half-time, while his second goal came in a crucial time when Everton were looking to regain their lead. The 34-year-old Frank Lampard is out of contract at the end of the season. “We’re not disappointed because we played really well and we’ve run the European champions really close. but we didn’t quite have enough in the end. We had played well enough to get a second goal but had been unfortunate, having shots back off the woodwork. I thought we were a bit unlucky. We tried to make what we had work the best we could today and for long periods I thought we did,” said the Everton manager David Moyes. The win moves Chelsea back into the third position ahead of Tottenham.